The Napalm is a Semi-Gun designed for medium to large waves. The aim of this model is to shorten the overall length of a Step-Up board whilst maintaining paddle power, volume and control at high speeds. 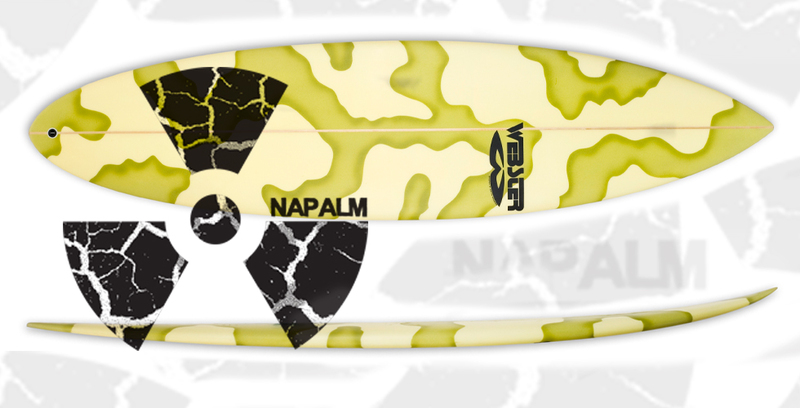 The Napalm has been re-worked from the popular Lenny the Ox model and has added thickness through the nose and rail profile. This Step-Up board wants to be surfed hard and fast and is perfect for Point Breaks, Slabs or Reef Breaks. This entry was posted in General and tagged guns, Napalm, Semi-Gun, Step-Up by franky. Bookmark the permalink.